As a Visiting Fellow at the Fenner School Catherine has a broad range of research interests including fairness and justice in environmental decision-making, the social and equity implications of adaptation to climate change, and the bigger picture of the human place in nature. 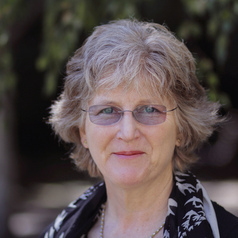 Catherine's most recent publication is her book ‘Fairness and Justice in Environmental Decision Making’ (published by Routledge) which connects theories of justice with peoples lived experience within social conflicts over resource sharing. Catherine is Vice-Chair of the Frank Fenner Foundation, an organisation based in Canberra, which aims to promote scientific understanding of the human situation in the biosphere. Catherine's career has spanned three continents taking her from a farming background in Yorkshire to executive management in the information technology and healthcare industry in the USA and then to environmental research in Australia. Catherine enjoys working at the interface between ideas and theories and the practical problems faced by society. She also enjoys giving guest lectures and seminars and talking to people in rural Australia.